CPA – Yes, but not defined. Minimum Payment – Bank Transfer £500, Neteller/Skrill £50. Payment Date – By the end of the subsequent month. “13.2 If You are found to be in breach of The Agreement (including, but not restricted to, a failure to meet Your obligations as Affiliate). In the event of a resolvable breach, You will be given 30 days to correct the issue from receipt of notice. In the event of a unresolvable breach, We reserve the right to terminate The Agreement with immediate effect. In the event that it can be proven that an affiliate’s earnings have been lost or impacted due to an incidence of plagiarism by another affiliate, Big Apple Affiliates reserves the right to reassign earnings from the offending to the offended party. If You feel You have been affected in this way, please contact Us at the earliest opportunity. Player Issues – Big Applie Affiliates represent operators running on the Progress Play platform. 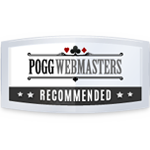 This platform carry a term limiting the withdrawal of progressive jackpots. Progressive jackpots are not paid by the operator and are instead paid by the network provider. As such there’s no legitimate reason that these wins should not be paid as soon as the operator have received them from the network provider. This is done in an effort to encourage the winning player to lose back some of the win before cashing out. We consider this type of term predatory and would not encourage players to engage with any operator employing them.. 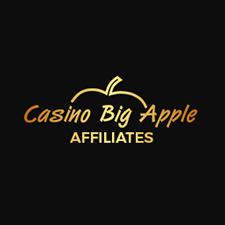 The player term issues with the properties represented by Casino Big Apple are enough that we won’t work with them. Setting the player terms aside, Big Apple Affiliates carry a Minimum Activity Quota. As such we would not recommend working with this program.